Jas is a fellowship trained orthopaedic sports medicine surgeon at Women’s College Hospital and Toronto Western Hospital with an interest in shoulder, hip and knee arthroscopy, ligament reconstruction, and cartilage restoration. He completed his sports medicine fellowship at Rush University Medical Center with international experts in the field and worked as a fellow team physician for the Chicago Bulls and Chicago White Sox. His research interests include clinical outcomes research in sports medicine, as well as, translational work on the use of biologics and mesenchymal stem cells in treating orthopaedic conditions. 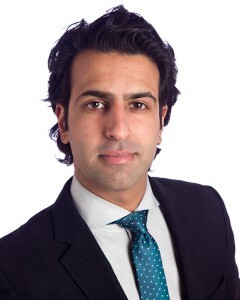 Jas is also an orthopaedic consultant for the University of Toronto Varsity Blues. Most recently, Jas has completed his Master of Business Administration at Rotman and at the University of St. Gallen which has given rise to his passion for innovation in the context of local and national healthcare delivery. Therapia home physiotherapy is an example of a healthcare innovation initiative that has arisen from this endeavour.